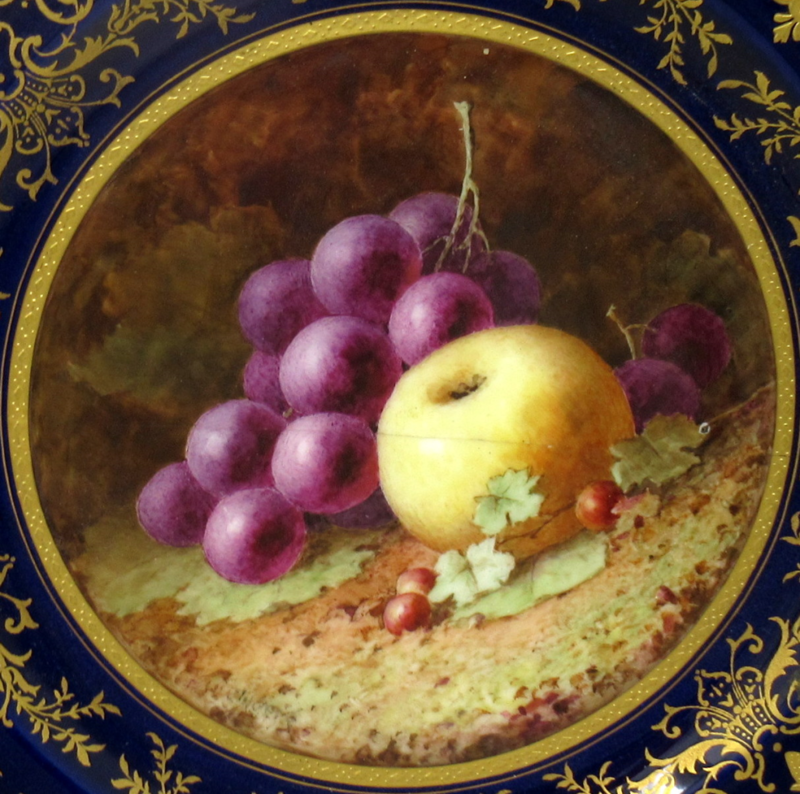 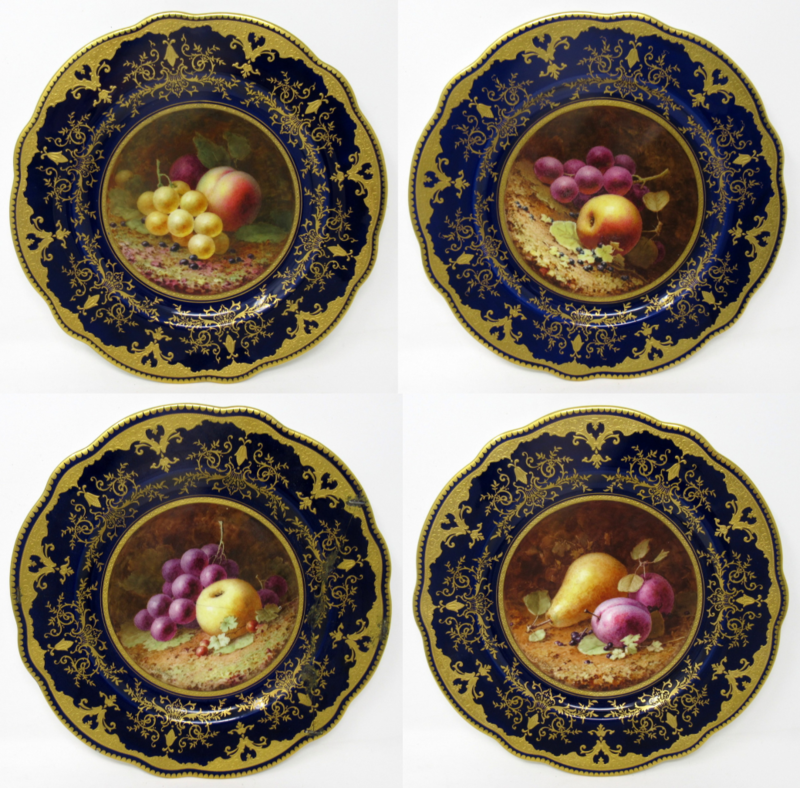 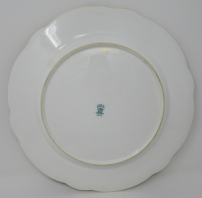 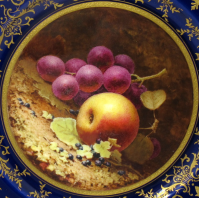 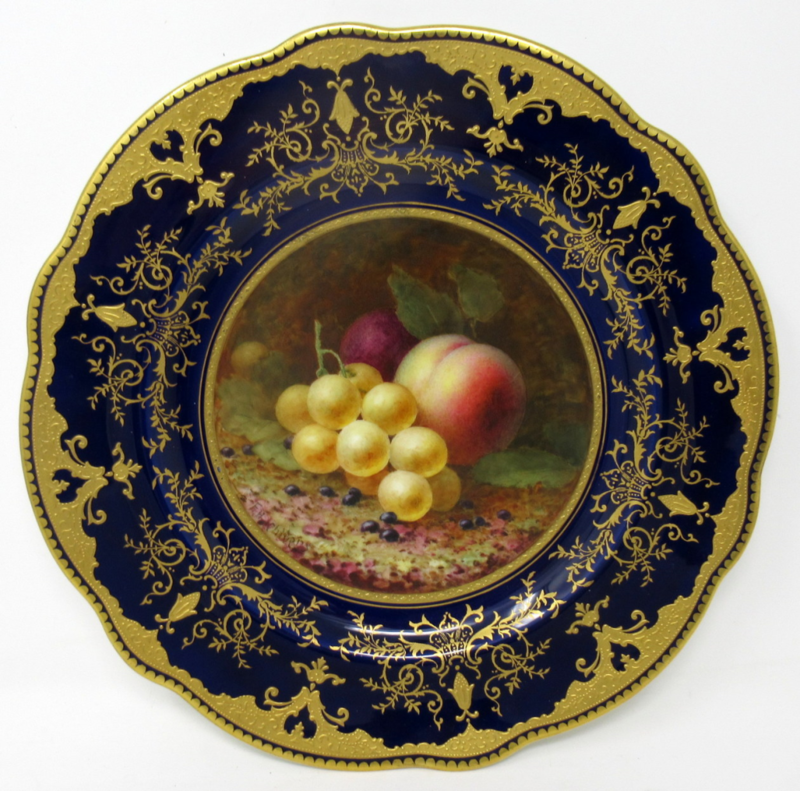 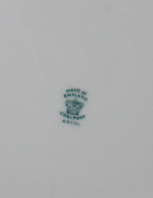 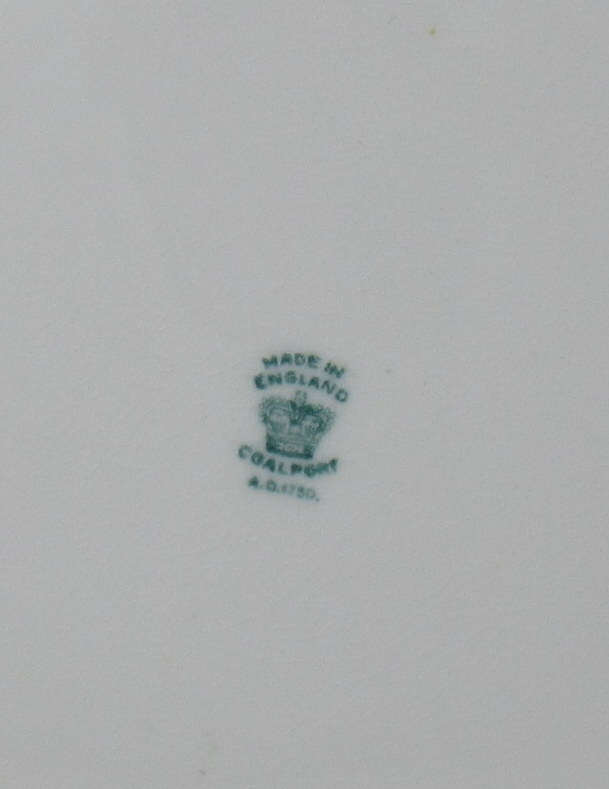 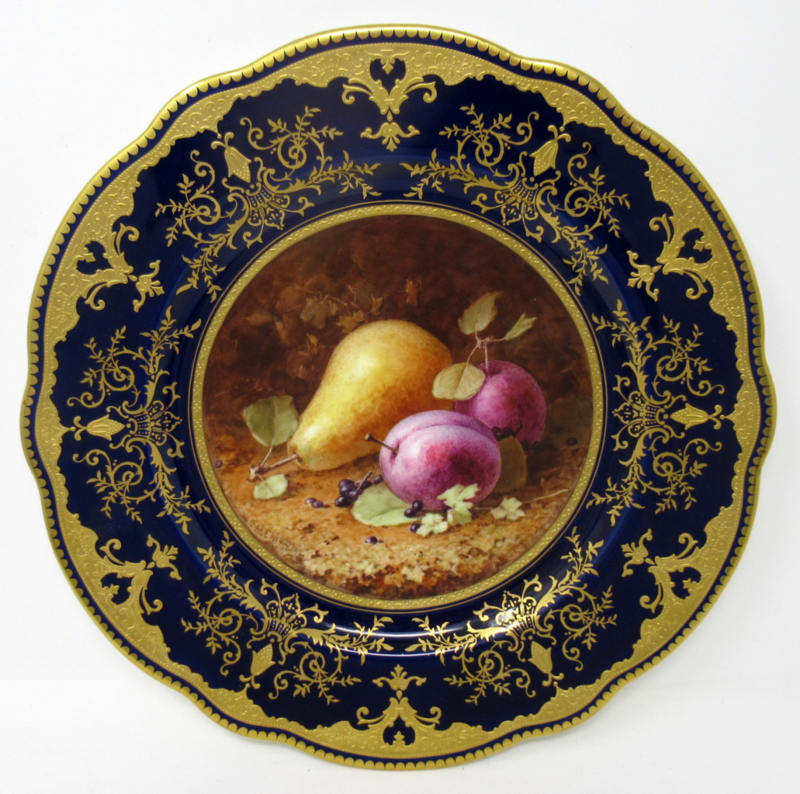 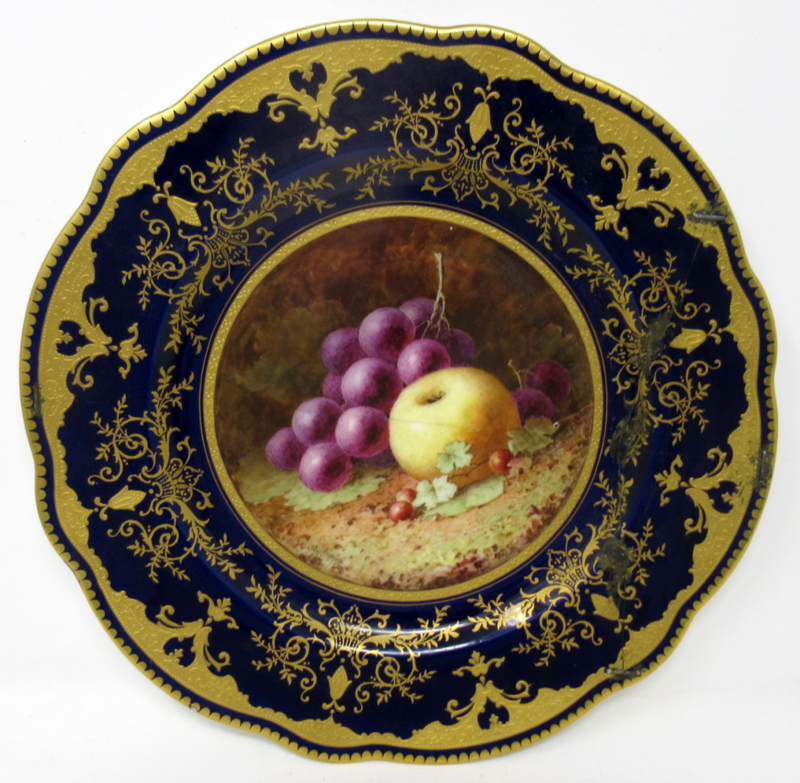 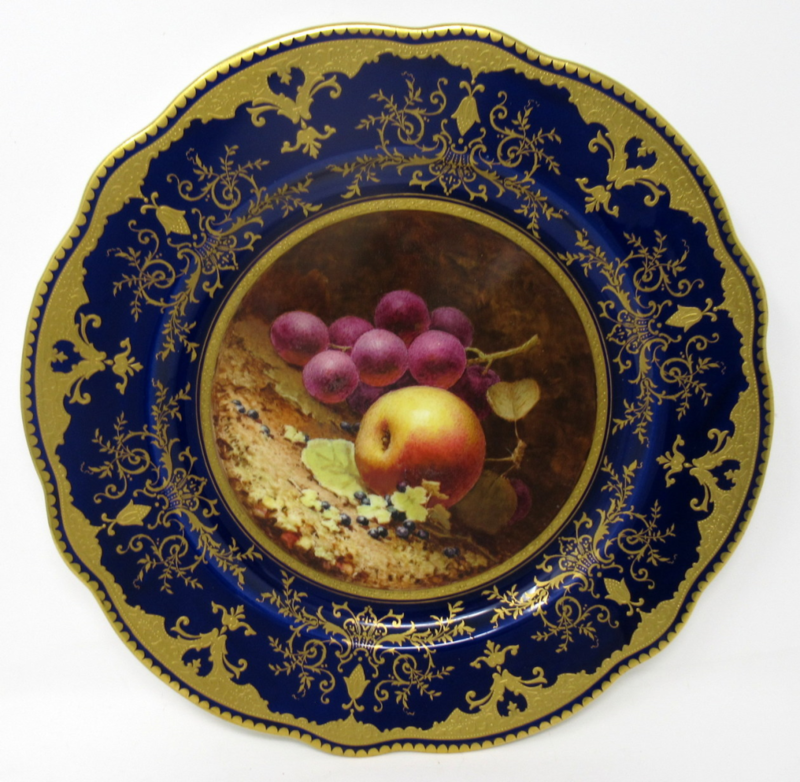 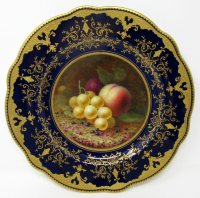 Stunning Hand Painted English Porcelain Coalport Set Four Cabinet Plates decorated by Frederick Chivers, of outstanding quality and large size. 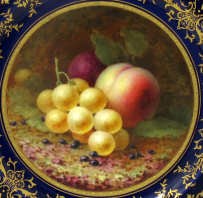 Circa 1920-30. 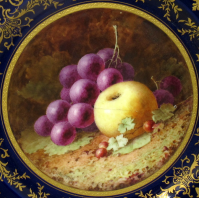 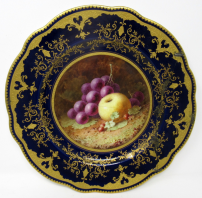 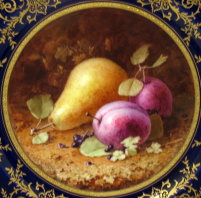 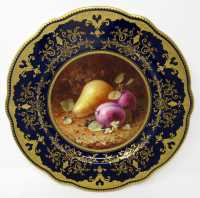 Painted with a still Life of fruits depicting a large pears, plums, apples and blackcurrants on a mossy and ivy clad bank, each signed lower left, within a broad cobalt blue wavy border enriched with 24ct. 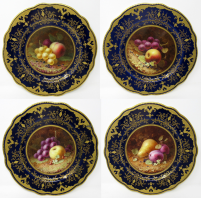 gilt scrolls, dentil rim, blue painted crown mark, gilders number 5351/R. 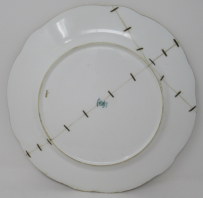 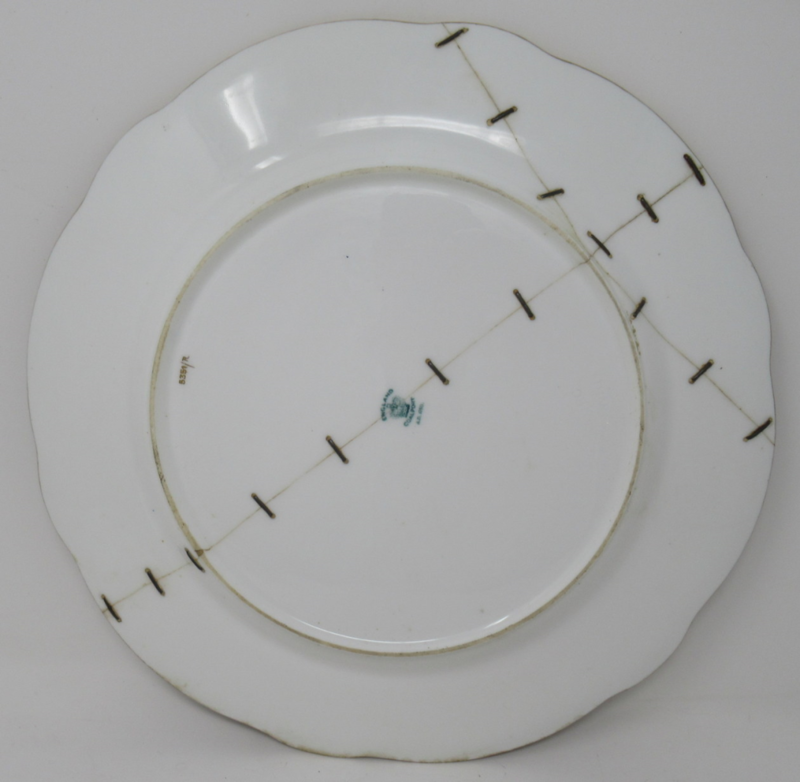 Condition: Three are perfect with no restoration or imperfections, the other has been extensively stitched with some losses to enamel areas. Frederick H Chivers 1881-1965 Fruit & Flower Painter: Worked for the Royal Worcester Porcelain Company, but by 1906 worked at Coalport Pottery specialising in Fruit Studies. The background on his exceptional work was achieved by working the ceramic colour with a matchstick, giving a stippled effect. 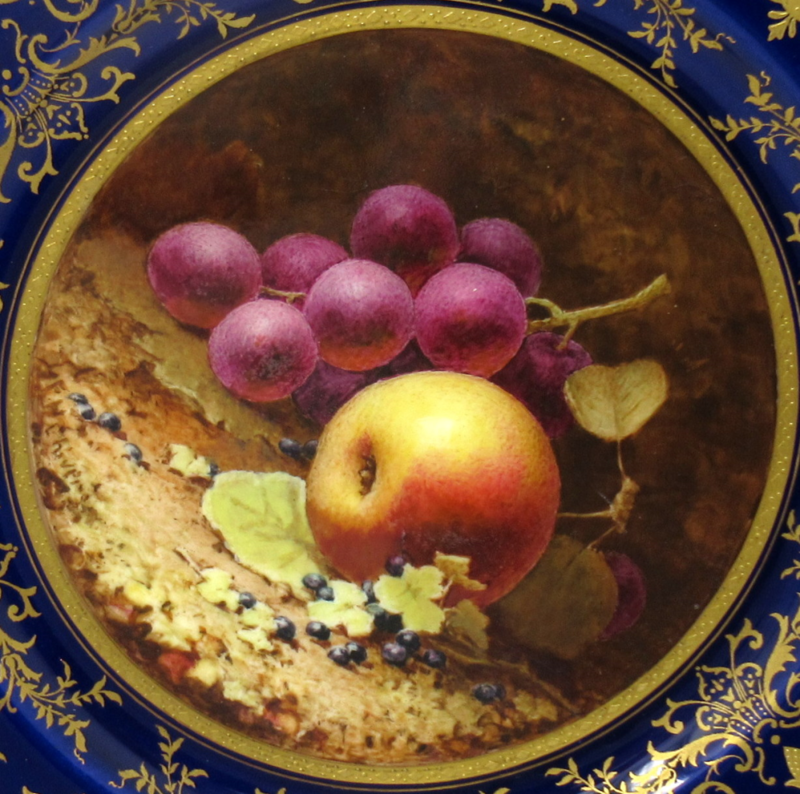 Read more: Vega Wilkinson A Dictionary of Ceramic Artists, Landmark Publishing page 44.